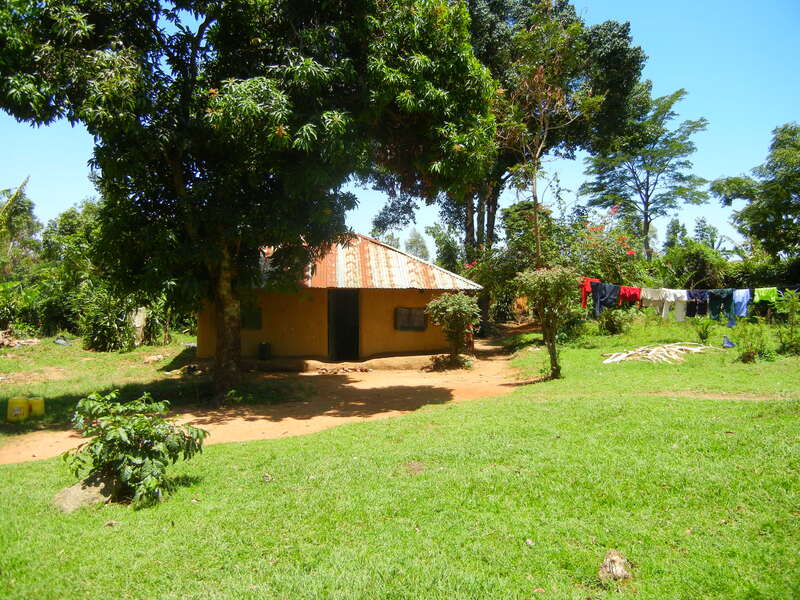 It’s hard to believe I am heading out today for the next to last Secret Church conference in Kenya this year. I have never had time pass so quickly here, as these past few months have passed. What an incredible journey it’s been thus far! Once again I am headed out today to a part of Kenya I’ve never been. Looking forward to seeing more of God’s creation and meeting more of His servants! The last conference was filled as always with so many blessings. 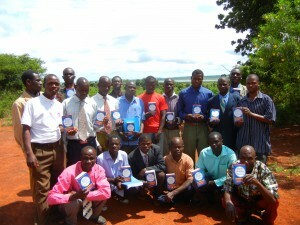 These young men are in their twenties and doing a great work for the churches they pastor. Every where I go, there are usually some young men, but they’re not always pastors. God allowed me to see these young men in a different light and burdened my heart to help them get more teachings. 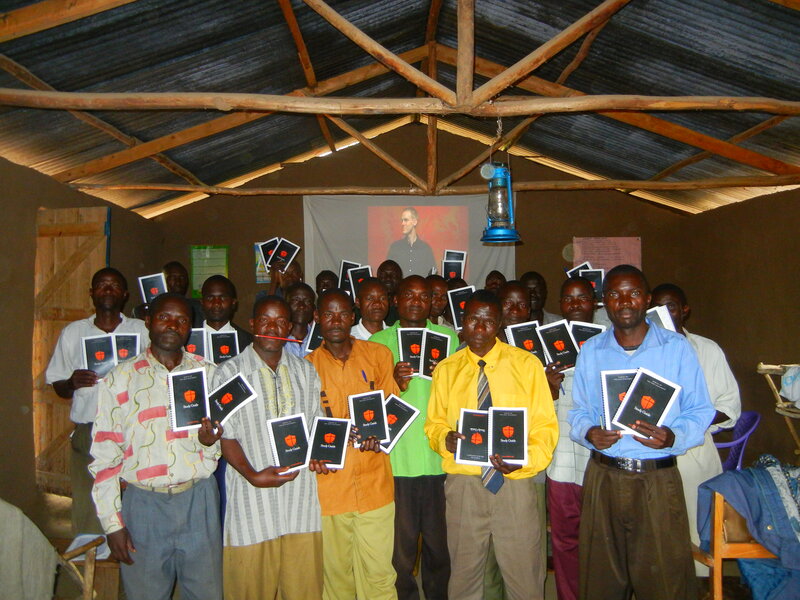 I have some separate Secret Church studies that I am going to bring these pastors here to Uganda to the mission house to do. Last year the folks at Radical gave me the remaining studies from the Secret Church teachings, some of which we have not completed yet. Now I know at least 3 of who these remaining studies were meant for. These were my roommates for the week: 2 mother chickens and their babies and a duck. Also a cat. Please be in prayer for our sweet Umaru. He has basically stopped eating in the last few days. He is no longer wanting food. His little body is continuing to swell more and more. He will sometimes drink some yogurt and this morning he ate a boiled egg, but that’s not a whole lot. We know there is nothing we can do, and we must trust God in what His will is for Umaru. Selfishly, I want God to heal him here and let him stay with us, but as I learned with Derick, sometimes God is ready to have them home with Him. Its hard to leave today not knowing if he will be alright until I get back. His Mother left two weeks ago to go plant her crops. 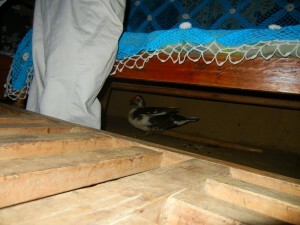 She has returned only once since then and visited him for a couple of hours. I know this is hard for him, so please join me in praying that his Mother will soon complete her work and return to be with him. If you don’t plant crops here, you don’t eat, so I know it must be hard for her to have to make such a decision when he is so sick. Yet, I know she has peace that he is in good hands here. 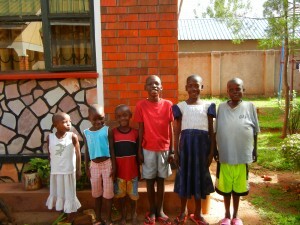 Here is a picture I took this week of our kiddo’s that live with us here at the mission house. We are so blessed! Pray for our conference this week as God once again uses Pastor Platt’s teachings to grow in wisdom and knowledge those who will attend. As always I am very thankful for the Radical team and all they have done to provide training for our pastors here. Also pray for my health as I’ve been battling stomach issues for several weeks. And today I leave with a severe headache that I’ve had a couple of days. Pray that I will be 100% healed by the time I reach the conference later today where I can complete all God has for us this week. Week before last we had another incredible Secret Church conference in Kenya. With each conference I see more and more of how God is working in the hearts of these pastors. At this conference one of the pastors who had attended two of the previous conferences asked permission to accompany me on the rest of the conferences throughout Kenya. He believes God is calling him to go to Northern Kenya and Southern Sudan to teach these Secret Church lessons. He wants to attend all the conferences where he can be equipped fully to answer Gods call. This makes a total of 4 pastors who feel a calling to other countries. This of course is the goal of Secret Church, to equip and send out. This past Friday night I participated in the live Simulcast of Secret Church #12 from Birmingham. What an incredible experience to be a part of 20 nations from all over the world learning about The Cross and Suffering and praying for our persecuted brothers and sisters in The Horn of Africa. If you didn’t have the opportunity to participate, please go the their website radical.net and listen/watch the teachings. It will give you a different understanding of suffering. My eyes were opened to new truths and I gained much knowledge. On Saturday I visited our pastors who are in our BSI classes at Lake Victoria and in Buradi, Kenya. I was blessed to deliver new dictionaries to help them gain a better understanding of some of the English words in their curriculum. 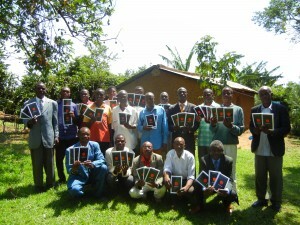 Thank you Dorks College Text Books for providing these tools for the pastors. They were so happy to receive them. 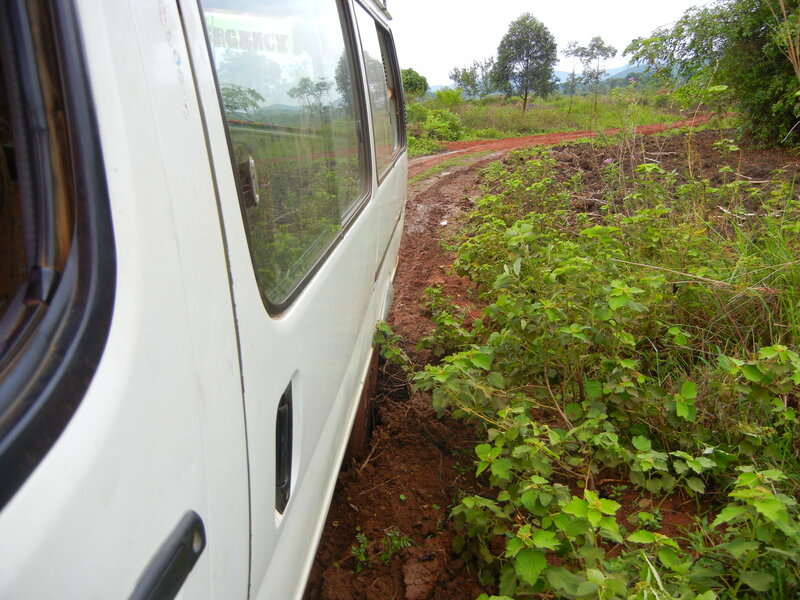 The rainy season is in full force….so we are back to getting stuck often as we did on Saturday. No doubt....rainy season is here! I am leaving out today for another week in Kenya for a Secret Church conference. I have never been where I am going today, so I have no idea what to expect, but know that in all things God is in control! I am excited to be visiting the place I am going today. I first met the pastor whose family I will be staying with two years ago. Ever since I met them, they have wanted me to come and stay with them, so it’s exciting to finally have that opportunity. The pastors wife’s name is Joy….so we are excited to spend time together! 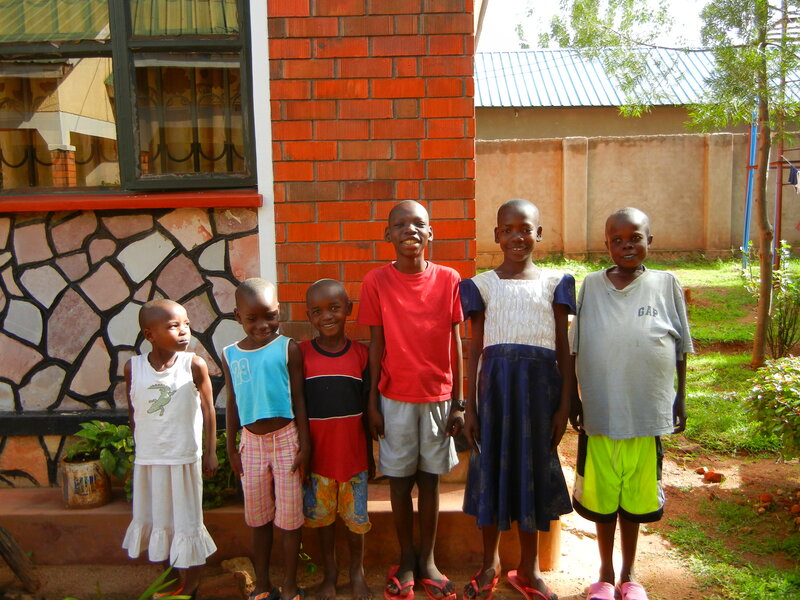 We have two new beautiful children here at the missions compound. The first is Umaru. Umaru has a heart condition that is jeopardizing his life. The doctors have said that his life expectancy is very short. As you can see from our picture his stomach is extremely extended. This is the result of fluids created from the heart not functioning properly. Each week he has to go and have fluids drained off, but within a few days, the stomach is back to this condition again. He and his Momma, Rose, were Muslim believers. 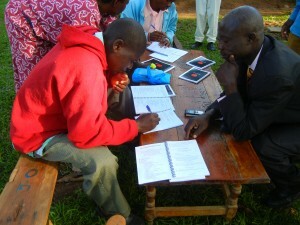 When he came to us for medical help, the gospel began to be shared by several of our staff and others. He and his Momma have now received Jesus as their Savior. 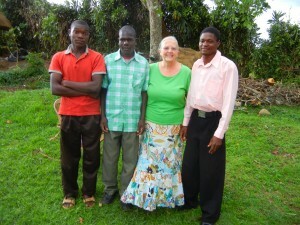 Rose stays here with him and the two of them are attending church and Sunday School each week. 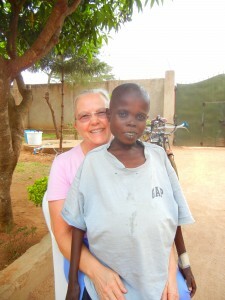 Please be in prayer for God’s perfect will to be done in Umaru’s life. We have our Arafat as a perfect example of the Great Physician’s abilities to heal when the doctors say there is nothing more they can do. 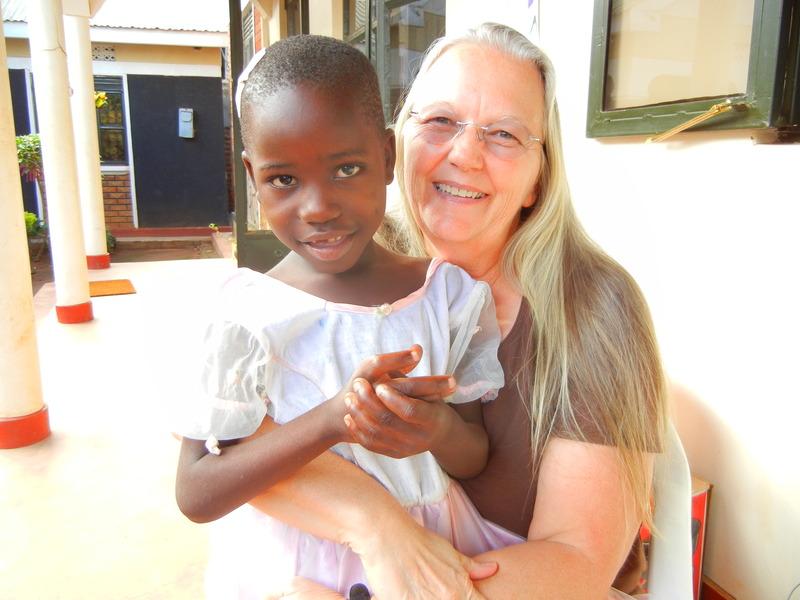 Please pray for Rose as Umaru is her only child that lives with her. 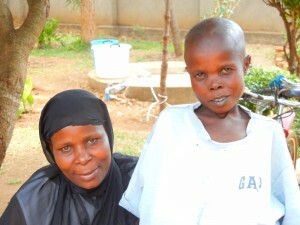 She has an older girl who is married and lives in Kampala, so it has been just Rose and Umaru for a long time. 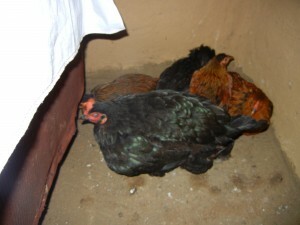 They have their own room here in the compound and they are both enjoying being a part of our lives here. Umaru is absolutely precious. Oh how I wish you could hear his voice in this message….it is so gentle and sweet. 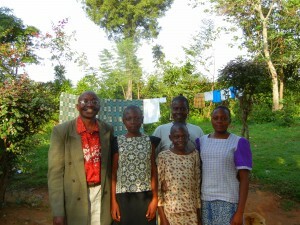 The second child we have received in is Esther. She is 6 years old and was hit by a motorcycle walking home from school. 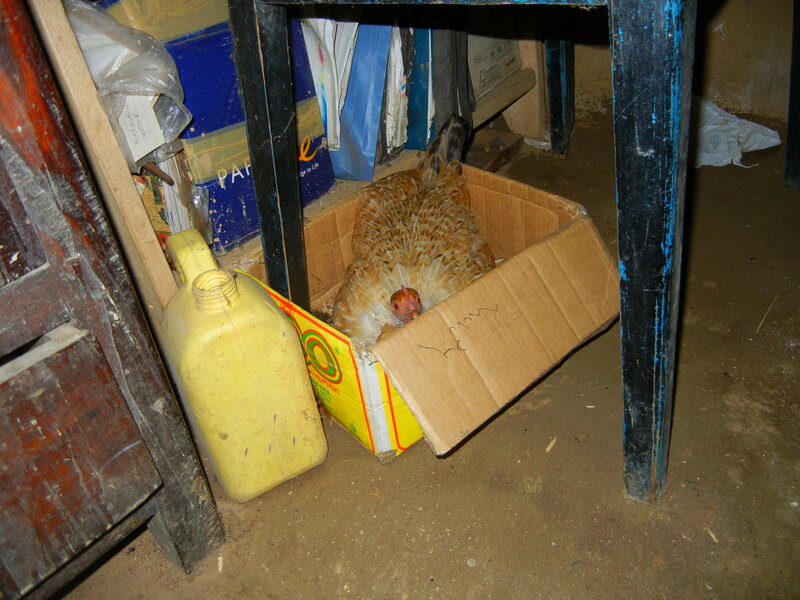 She was hospitalized for a time then came to live with us when she was released. She is a complete mess! She is mischievous and funny….what a joy she is to our lives. 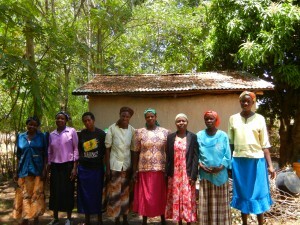 A team from the states is here this week working with Dr. Brenda at the Village of Eden. 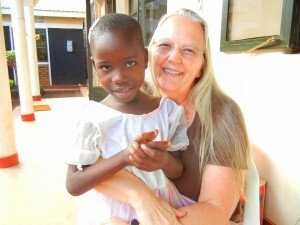 Dr. Brenda has done an amazing job over the past few months overseeing the purchasing and design for the Village of Eden. She leaves out tomorrow to head back to the states, and I am going to miss her terribly! It has been such a joy to have her here for an extended time. She and I share the same unit and her leaving will leave a void! But, I know she will soon return….and l look forward to her being back here more and more often now that the Village of Eden is up and going. The roads are now cut in and other development is underway. I am pleased to share that my apartment site has been chosen and is part of the first buildings to be built. In a few days when I return from this conference I will have the opportunity to talk to my dear friend Jimmy Wallace about the layout of the interior rooms! Isn’t our God good! Jimmy and his wife Becky are two of my dearest friends. They have been a vital part of every part of my missionary journey. When we started this journey a few years ago, I never would have dreamed that God would make a way for Jimmy to design and help oversee the building of my new apartment here. Steve Moon, Helping Hands Board member is here with the team this week and has worked on the layout of the septic system for my apartment….woohoo! That means I will have a toilet and running water! Thanks Steve! It will be exciting in the months ahead to see it being built and then begin my transition from the mission compound to the Village of Eden. God created me to be a pioneer and I love that I am going to be on the pioneer trail again being the first to move out to the Village of Eden. My Helping Hands accounting tasks has intensified as the Village of Eden is now under construction, making the need of my transitioning there sooner. Most of the time that I am not traveling, I am working on the books. What a joy to be used in this area. As I finish out my travel schedule in the months ahead, I will be transitioning into full-time accounting for Helping Hands Uganda. Its been great doing their accounting for the years I’ve been here and to now see the need of a full-time accounting person and be able to fulfill that need. Every season of my life is under Gods control, and as much as I will miss the traveling and helping the pastors next year, I understand that this also is an important need that God has placed me here for. He has a plan and He will not leave me without ministry opportunities. 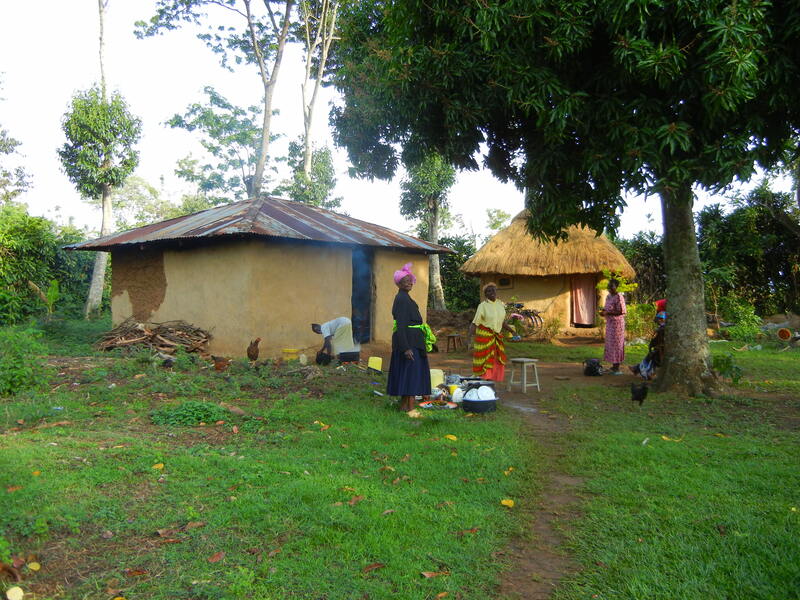 There are hundreds of people surrounding the Village of Eden property…I know He has a plan and will use me to continue teaching and making disciples while I fulfill a need for Helping Hands. How incredible that I get to do the things I love! Please be in prayer for our Secret Church conference this week. Pray for God to continue to open eyes to see His world, open ears to His voice and penetrate hearts to surrender to the call of missions. The Life and Mission of Joy Breedlove is powered by	WordPress 3.4.2 and delivered to you in 0.183 seconds using 40 queries.